The BC23.16 STS is the computer designed for athletes. 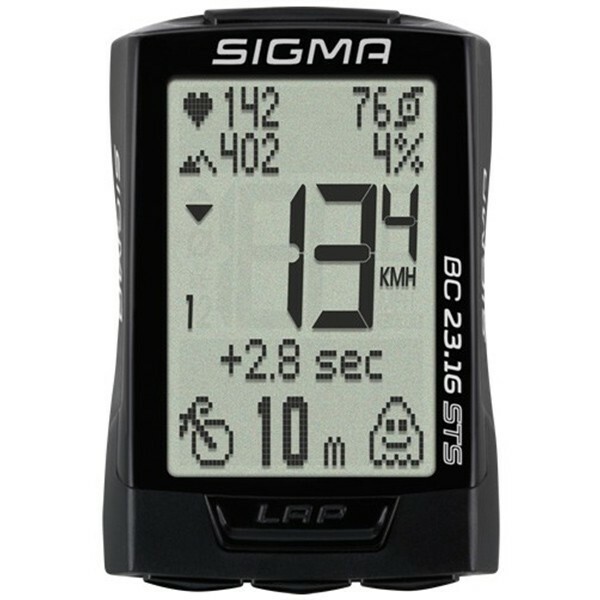 It is loaded with all of the necessary training functions including heart rate, cadence, altitude and gradient. Plus, all transmitters are included! One of the highlights of the BC23.16 STS is its enormous logging capacity of up to 500 hours.Previously saved rides can be converted into an opponent for a “ghost race” with the SIGMA DATA CENTER. And NFC technology allows the BC23.16 STS to communicate with Android smartphones and the SIGMA LINK app.